Why buy Church Accounting Software? Most accountants don't think about church software programs because they eat, drink, and sleep GAAP (Generally Accepted Accounting Principles). If they aren't enamored with GAAP, then they dream of the IRS Tax Volumes. 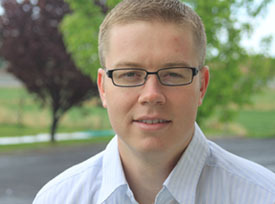 What about those of us who just need to know about church accounting? The good news is you need not be an expert in GAAP or the IRS code to handle your Church's accounting. Before accounting became all about following rules and regulations, accounting was used to track key information. This information could be about anything. A farmer may have used accounting to track how much milk his cows were producing. A banker to track the money going in and out. An army general to track casualties. This was accounting in its most beautiful form. So useful, and so uncomplicated. Unfortunately in order to achieve comparability amongst different companies, accounting has become tainted. The numbers have to be squeezed so that they are in accordance with certain standards. They become useless, and this is when accounting becomes GAAP . Church accountants would do well to remember that the main reason they are doing accounting is to track the useful information of their church. The good news is that you, the church accountant, get to decide what is useful. It may be church attendance, church donations, number of conversions, etc.. 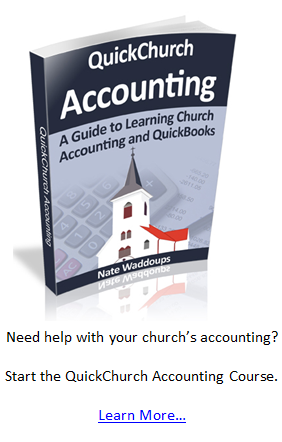 Churches require fund accounting. To understand fund accounting, it is helpful to understand what the word "fund" means. Fund = a reserve of money set aside for some purpose. Fund does not mean a separate bank account. In fact you can have one bank account with an unlimited amount of funds. Why do Churches Require Fund Accounting? When you give your money to Wal-Mart in exchange for goods you have no say over what Wal-Mart does with that money. However, when you give your money to a Church, you can tell them that your money should go towards missionary work, feeding the homeless, or building new churches. In fact, most churches have a missionary fund, a service fund, and a construction fund. Once you understand that Wal-Mart's accounting is different than a Church's you realize that special software is needed for church accounting. Church accounting software should make fund accounting simple and easy.